At Hignell Property Management, we're investor-centered and have your best interest in mind. We manage your property the same way we’d manage our own – we care about saving on expenses, increasing the bottom line, getting good renters and positive results. Whether your investment is a 200-unit property with a clubhouse or a 6-unit property in college town, we feel the pain and uncertainty that comes in any situation. We can handle your investment because we are large, experienced, and our priority is on doing what we say we’re going to do. We’ll tell you when your rental is under market, or what rehab jobs will earn you the best ROI. Don’t just think of us as managers, think of us as partners. We have our finger on the pulse of the local market and are always willing to share our recommendations with you. 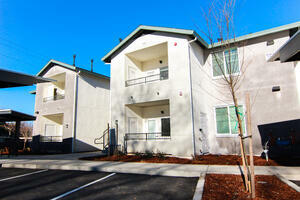 Learn more about how we’ll manage your multi-family rental property and make your life easier.